See the felt candy-filled bunny in Vivi’s hand? That was such a fun little project. I made 20 of these for the children at church, as well as for these two. Vivian had a bunny filled basket and loved handing them out. I so regret that I did not get a photo that or of all the pink, blue, yellow and white bunnies together. They were a big hit with all the children. 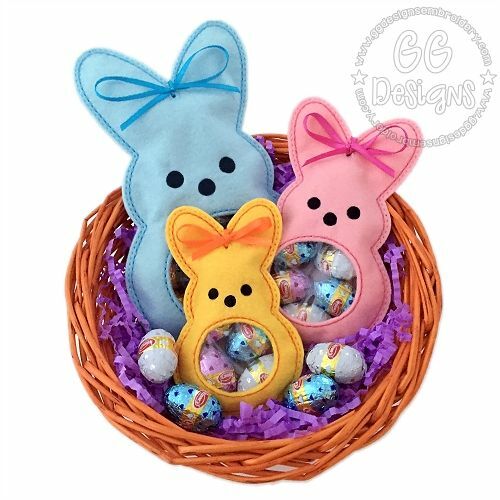 The pattern is GG’s Designs Marshmallow Bunny Peekaboo Treat Bag. This is her picture. They are quick and easy, with a single 4″ bunny in the 4×4 frame, two 4″ bunnies in the 5×7 frame or a single larger bunny in that same 5×7 frame. 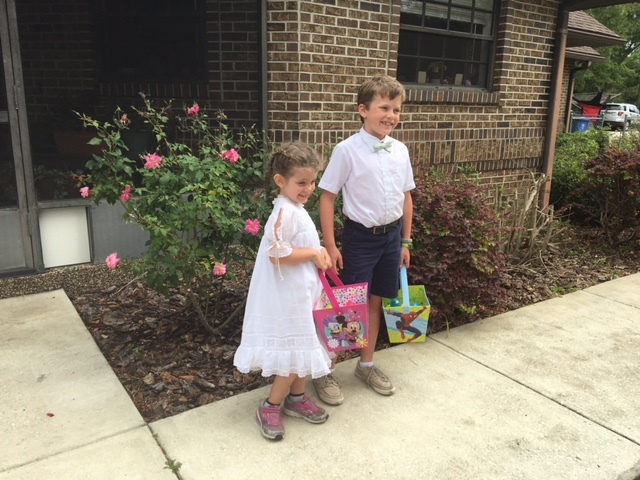 Before dinner an after they were dressed for the occasion–Vivi in her sneakers and Alastair’s shirt tucked in– they were off to hunt eggs. What a treat it was to see a family of sand hill cranes strolling on the far side of the property. This towel was a hostess gift for Oma. 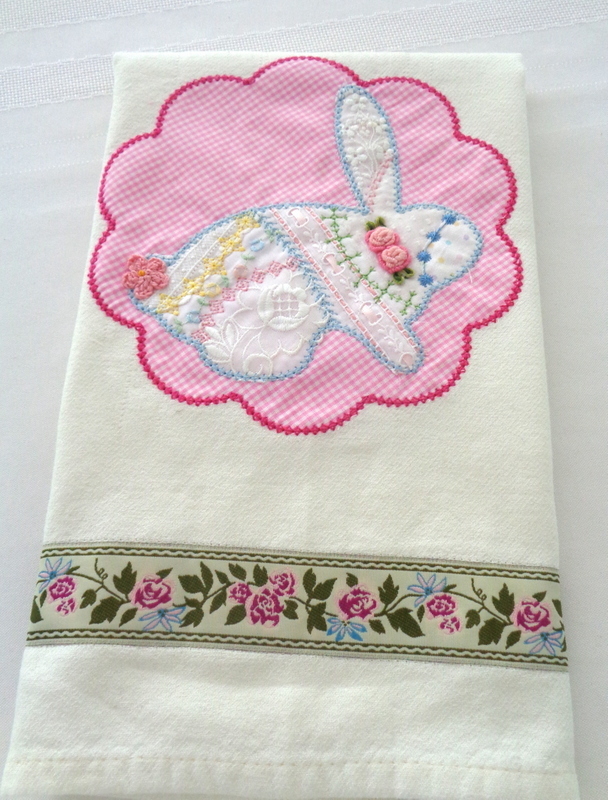 I meant for it to be a trial run of this darling Vintage Luxe Bunny from Hang to Dry Appliques, but ran out of time. Sadly, that site was closed last year and had so many wonderful crazy patch designs like this. I wish I had purchased more. So Oma was given the first and only, so far, version. I’m eager to make more of these for next year. Vivi came home with us because her preschool spring break was after Easter. So she was able to attend a beautiful Easter service with us. 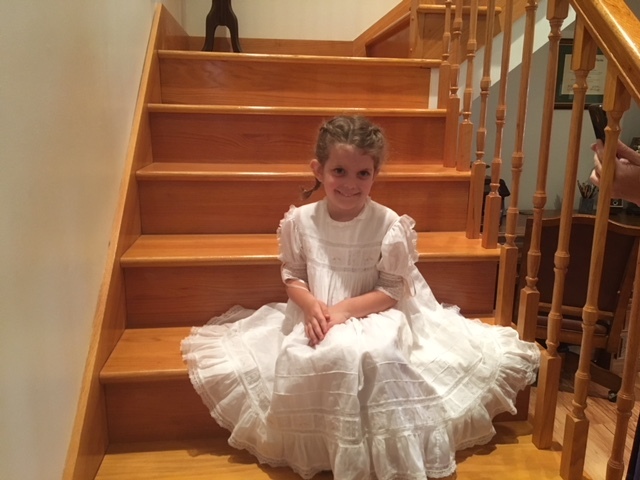 It was a special blessing for me to see this granddaughter wearing her mother’s dress. 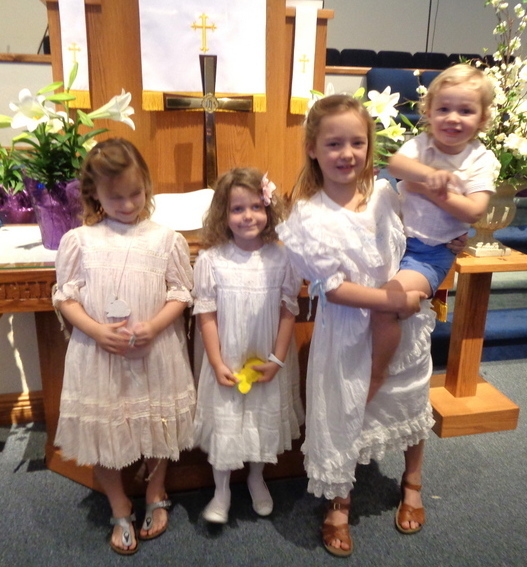 Additionally, each of the pastor’s children wore heirloom clothes that I had made through the years. 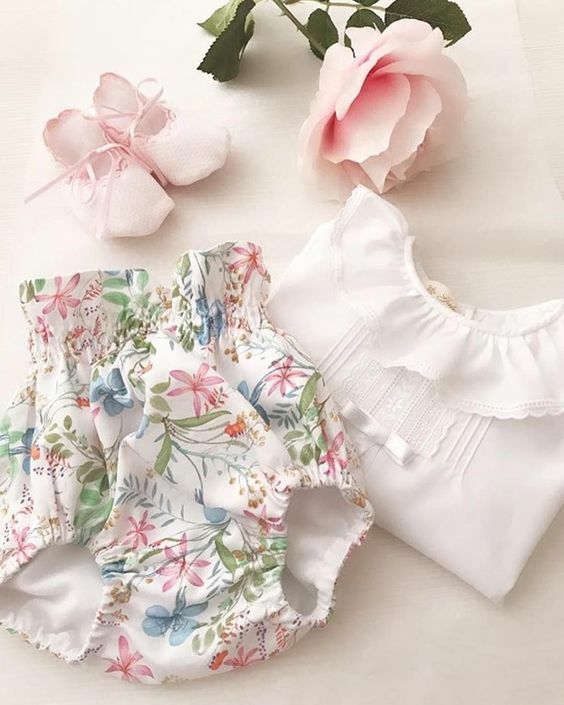 Ella is wearing Rebecca’s 34 yo peach Swiss batiste dress, Vivi holding the bunny, Julie wearing Laurel’s Lace Dress and Little Brother wearing a tucked and pinstitched linen shirt above the handsome blue shorts his grandmother made for him. What a joy it was to see the girls’ delight in their heirloom dresses. Little Brother was cooperative but unimpressed. Through Easter week the guys attended a Gator baseball game in Gainesville, we all had breakfast at the Old Spanish Sugar Mill at DeLeon Springs State Park. 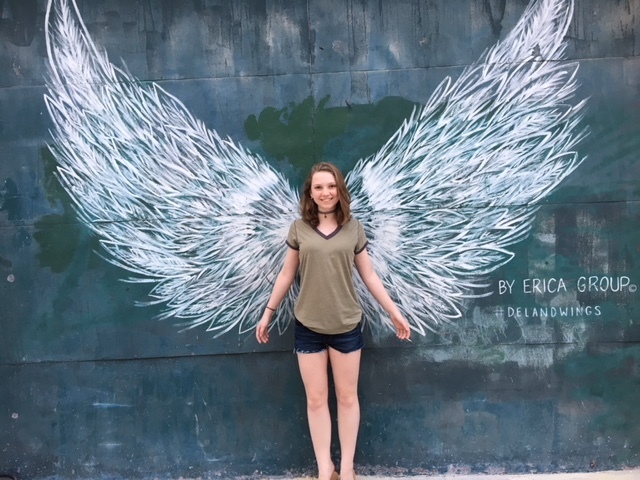 We dined and strolled through delightful DeLand where 14 yo Laurel, our own precious angel, posed in front of the angel wings, a favorite photo op in downtown. I was up late Thursday night hemming new curtains for Laurel’s room. Friday morning they packed up and flew back to NJ. We miss them all already. 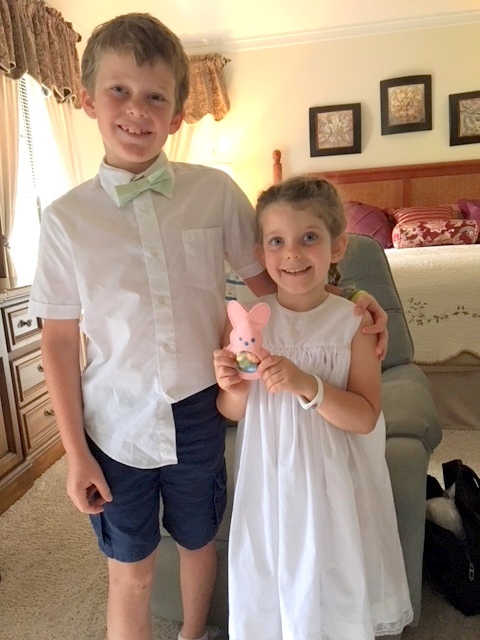 When I suggested that Vivi remove her kiddie Fit Bit for church, she insisted, “No! If I take it off I might not make my goal!” She’s 5!!!! It’s a whole new world for this old fashioned Nana. This entry was posted in accessories, boys, brother-sister, free patterns and designs, girls, heirloom sewing, lace tape, machine embroidery, Nana fun, Second Time Around and tagged bunny treats, DeLand angel wings, Easter dress, Easter dresses, lace tape, machine embroidery, Old Spanish Sugar Mill, puffing, River City church DeBary, Swiss handloom, tatting. Bookmark the permalink. With all the family activities how do you ever find time for all that beautiful sewing?! Rheeta, I can always find some time for sewing. 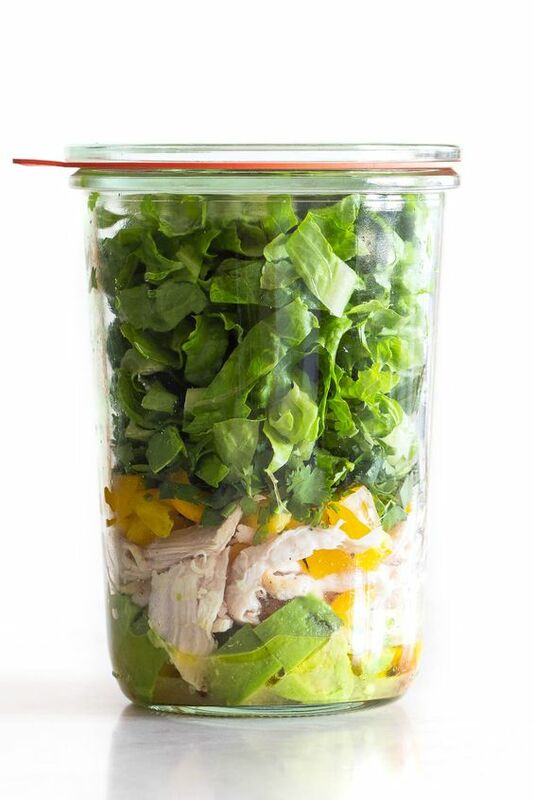 Take out food, minimal cleaning and no tv. Still, wish I had more time for sewing. Happy Easter! 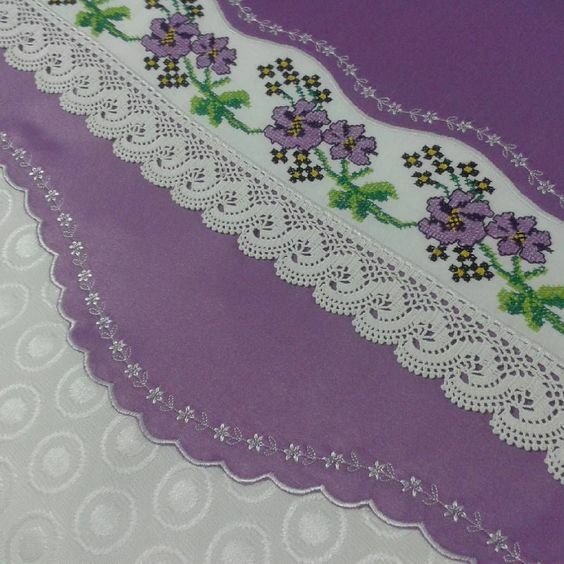 The embroidery on the fancy band of Vivian’s dress is gorgeous – do you have a suggestion of a source for the shadow work designs? It may be beyond my skill level, but one can always dream! Our first granddaughter was born last week, so I need to get busy! It is hard to believe how quickly your grandchildren are growing up! 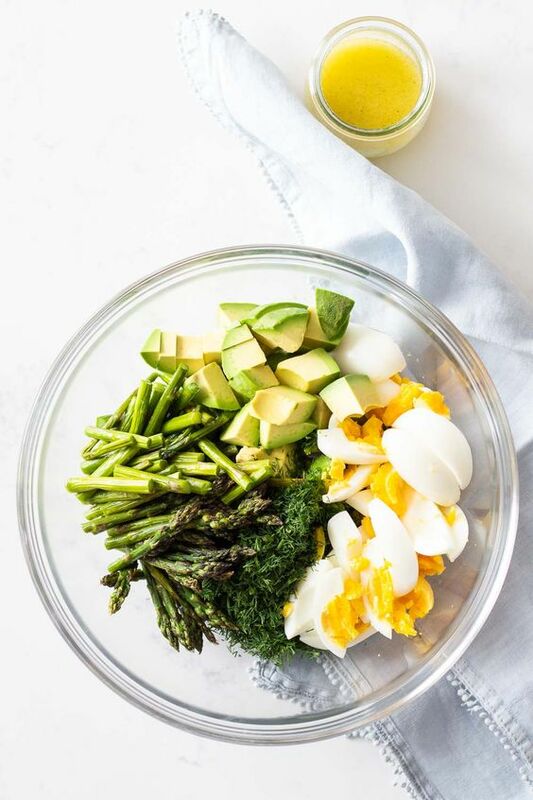 Janice, I love hearing about and seeing your Easter Celebrations and seeing all the beautiful heirloom clothes. They are beautiful! I can’t believe your grandchildren are growing up so fast—Laurel is 14??!! Where did the time go? Nancy, I have written to you privately. Thanks for your comment and congratulations on the imminent arrival of your new granddaughter. Betty, I’m glad you enjoyed this post. Yes, the grandchildren are growing way too fast. I love each phase of their lives but I wish each year lasted 24-36 months! Laurel is quite the young lady now, but still a little girl in good ways. We adore her–and the other three! I love the Rebecca’s Bow dress! And I can’t believe how grown up Laurel looks! Did you know those Sandhill Cranes are named after the Nebraska Sandhills?! I’m really curious about those other two, smaller birds. What are they? 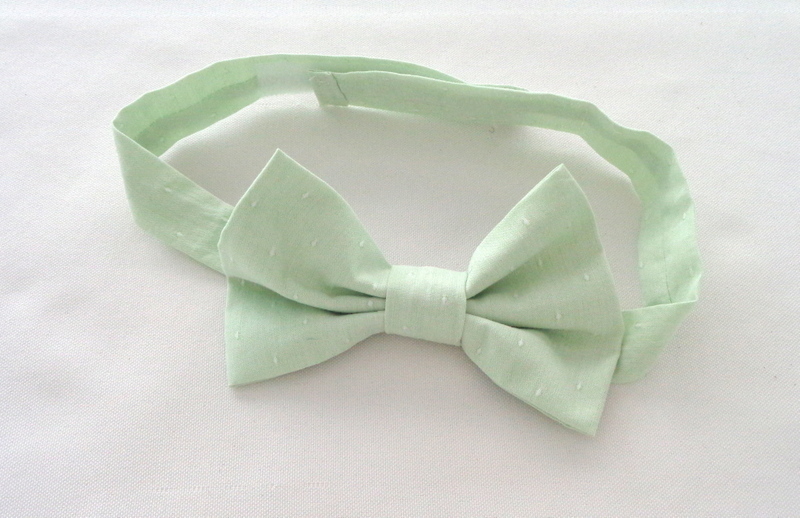 Jo, I’m glad you like Rebecca’s Bow Dress. Seeing Vivi wearing her mother’s dress took me right back to the time when Rebecca was that age, modelling it for the cover of the MP pattern. Sigh…Laurel is growing up and so are your girls. 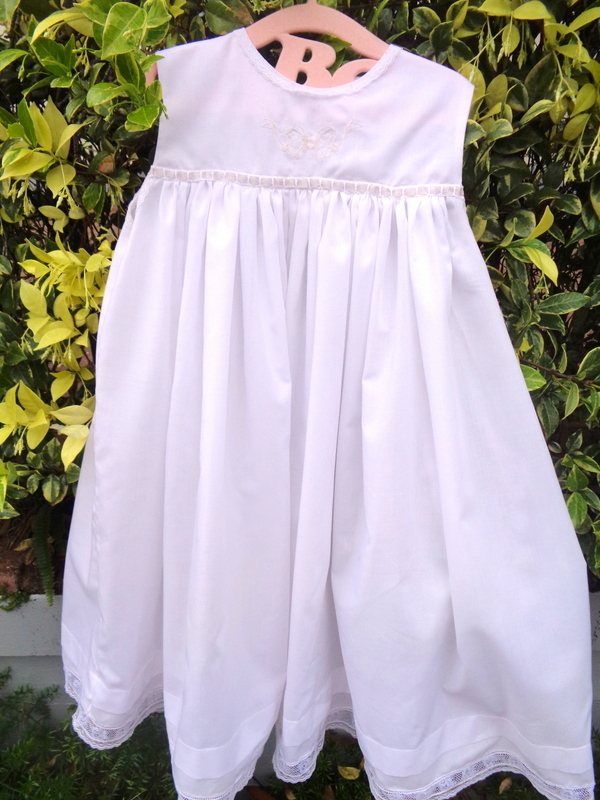 LOVED the pictures of them in the gorgeous Easter dresses you made them. Joy is quite the lovely young lady now! No longer little girls, neither her nor Laurel. 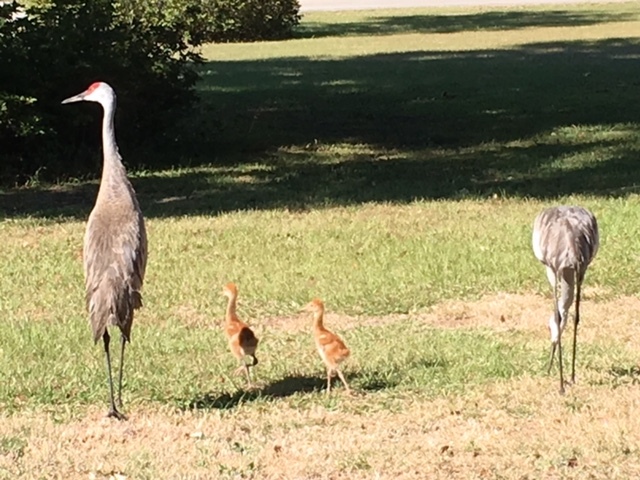 How interesting that the name of our Florida Sandhill Cranes comes from Nebraska. Do they migrate there or live there any time of the year? The two smaller birds are baby Sandhills. I have seen families together occasionally, but never with such young chicks.